Approx. 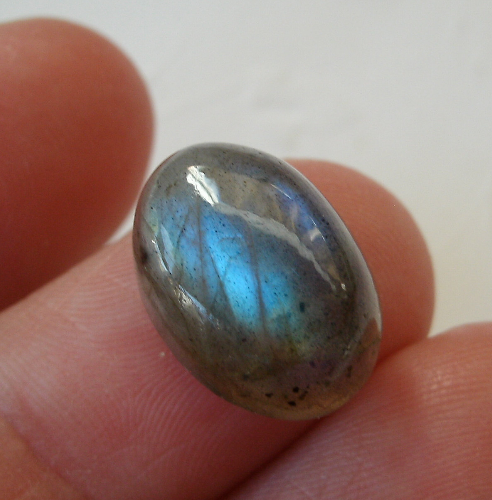 15x11mm and approximately 6.5mm tall. 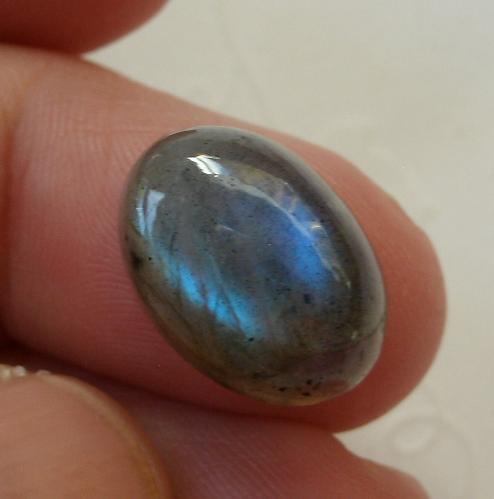 Labradorite - translucent brownish-grayish stone with beautiful blue reflection to it. This gem is much prettier than my photos. It has a deep blue fire to it.